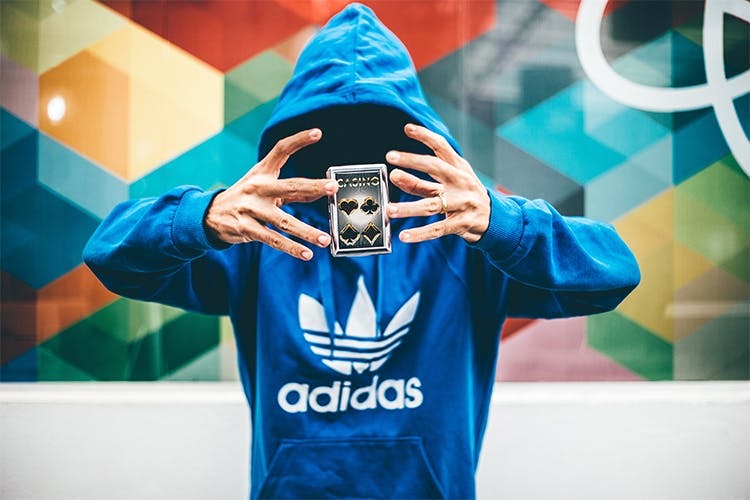 If you’ve ever wanted to emulate Harry Houdini’s mind-blowing tricks, start with baby steps – learn how to do magic tricks with a one-hour workshop in Dadar West. Now we may be muggles to the ordinary world out there, but don’t we all secretly really want to be wizards and witches? Swish away our magic wands and bedazzle the audience. Well, you can do that now. A professional magician will take charge, and teach you six magic tricks at an hour-long magic workshop. The workshops are being organised in collaboration with Blue Bulb. The instructor aka magician aka your teacher will be teaching you how to hide a trick up your sleeve. First up, he’ll demonstrate how it works, observe that and follow it up. Take as much time as you want to get tips, and ask him to step in when you’re going wrong – it’s a serious workshop ya’ll. We’re loving the concept that there’s a serious workshop being conducted in the city for anyone who’s all about magic. Sure, the humour and the wittiness isn’t lost on anyone, as we’re thinking post the workshop you’ll be donning a suave magician’s hat – tricking people. You will be learning magic tricks in a professional capacity. How many of you get to boast about such a workshop? We think it’s an amazing skill to hone, and the workshop lets you finally embrace the magician you really are. You’ll be given your magic kit to take home – which’ll include 12 tricks, an instructional video so you keep following up on how to do it. Get your own Copperfield life, and go around tricking people post this workshop. If you’ve always wanted to experiment with magic and more, you know where to head. The minimum booking has to be for two people, so grab that skeptical friend and throw him/her in the deep end.